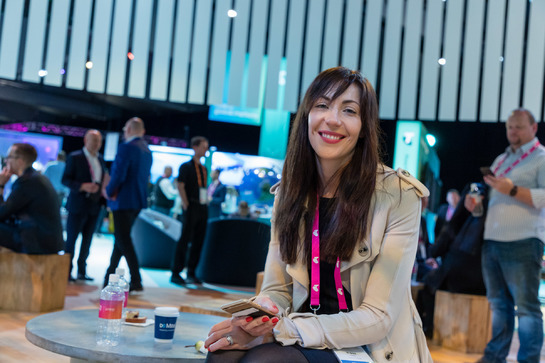 There’s so much to see and do at Telstra Vantage™. Make sure you check out our tips below, so you can get ready to make the most of your experience. Once you receive your invitation, the first step on your Telstra Vantage™ journey is to register to attend. Please note, this is an invitation-only experience for Telstra customers, staff and Channel Partners. If you’ve received an invitation, register now so you don’t miss out. This year’s agenda is packed with 45-plus sessions, inspiring keynotes and 120 exhibitors. If you’re a registered Telstra customer, you get exclusive access to secure your place at the sessions that matter most to you. Sessions fill up fast, so once you’ve registered, make sure you start planning your experience. The Melbourne Convention and Exhibition Centre (MCEC) is in the heart of Melbourne’s CBD and just a short walk from Flinders Street Station. To find the best way to get there, check out the FAQs. 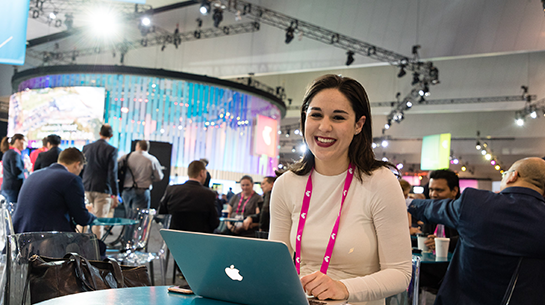 The Telstra Events app helps you to connect with attendees, get live event updates, see who’s exhibiting, and much more. Once you’ve registered, you can click here on your mobile device to download it. Then you’ll need to log in using your email address and reference number, which was sent to everyone who has registered for Telstra Vantage™ via email. 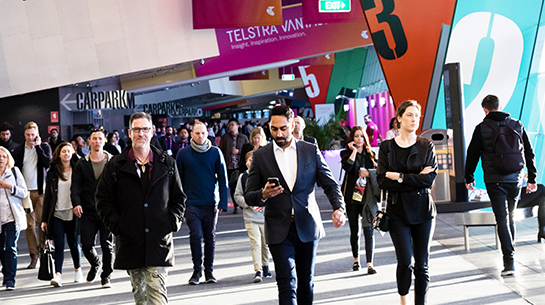 Hear big news first, connect with like-minded peers before the event and share your opinions on some of the hot topics we’ll be focusing on at #TelstraVantage. Make sure you follow us on Twitter and LinkedIn so you can join the conversation. When does registration open? What time is lunch? Is there a cloakroom? Hang on, where’s the MCEC again? If you’re looking for answers, head over to the FAQs – we’ve got you covered. The Telstra Vantage logo and Telstra Vantage Insight, Inspiration and Innovation™ are trademarks of Telstra Corporation Ltd. The Telstra logo is a registered trademark of Telstra Corporation Ltd. ABN 3‌3 05‌1 7‌75 55‌6. The Telstra logo is a registered trademark of Telstra Corporation Ltd. ABN 3‌3 05‌1 7‌75 5‌56.